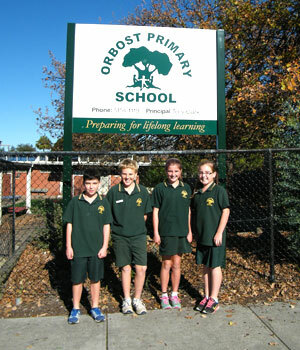 At Orbost Primary School the wellbeing of all our students is a priority. We foster leadership potential in our students by offering a range of responsibility positions that students can apply for. Each year 4 school captains are selected after a process of application and interview. These students receive training and participate in a day at the GRIP Leadership Conference in Gippsland. Other leadership opportunities are available to students as house captains, ICT leaders, Junior School Council representatives and participating in community activities such as the ANZAC Day march. Each house has two captains – one boy and one girl – who take on a very important leadership role during whole school sporting events. They set a positive example for all other students and develop key leadership skills of communication and organisation as they help run our swimming, athletics and cross country events. 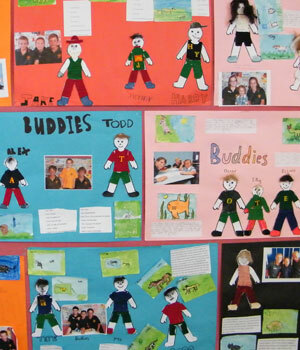 Each year grade 6 students have the opportunity to be a 'buddy' for a grade prep student. A relationship is developed between the two and this provides the prep students with someone to support them in and out of the classroom. At the same time it develops important communication and leadership skills in the grade 6 student. 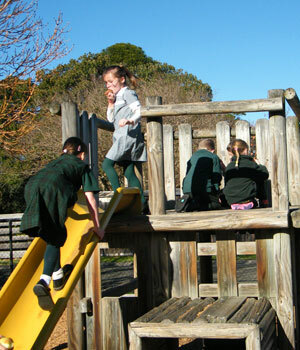 Our school values of Community, Challenge, Creativity and Curiosity underpin student wellbeing and engagement. Teachers work hard to create safe and secure classrooms and encourage a learning environment where all students can succeed. Student wellbeing is of high priority and is guided by Student Wellbeing, Anti Bullying and Student Engagement Policies. We have high expectations of positive student behaviour and work ethic in our classrooms. We aim to develop in students a sense of belonging, values of self motivation and active participation and provide every opportunity to learn so that everyone can be the very best person they can be. We work closely with families to ensure that the well-being of all students is catered for. Programs that support student well-being include a school based welfare coordinator, the teaching of values to support a safe school environment and programs such as Life Education and Personal Development. Some staff have received training in mindfulness and how it can be used effectively in education. Developing calmness, focus and concentration are all benefits of what is known as 'mindfulness'. The Smiling Mind program is used in some class and whole school activities as a way of improving student wellbeing. 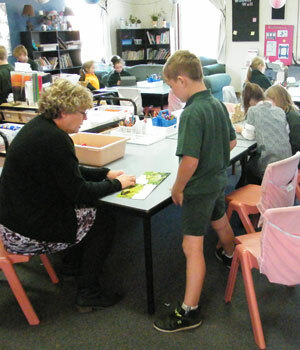 Students work with older students from Orbost Secondary as cross age tutors. The OSC students, usually in Year 10, come and help in the classroom over several weeks, providing academic and social support as well as building successful relationships with younger students.